We caught up with PADI AmbassaDiver, Florine, to find out what inspires her diving journey and travels around the world! What was it that inspired you to take your first breath underwater? Since I was a little girl, I always knew I wanted to swim underwater with the fish. I was lucky enough to grow up near the ocean, but somehow, it wasn’t an area with much diving but more sailing and windsurfing which was my first water sport. When my parents started to take my brother and me to the French Caribbean islands of Martinique and Guadeloupe, I first started snorkelling and freediving and I would spend as much dive as possible below the surface. One year, my parents announced they would treat the whole family to a Discover Scuba Dive, I was thrilled. From my very first seconds underwater I felt so good, relaxed and hooked for life. However, knowing the hefty price of scuba diving in the 90’s, I never dared to ask again to my parents, who were already putting all their savings in offering us a lovely tropical holiday, I felt I was already very lucky. I waited 10 years to have a job and a paid vacation. I flew to Thailand for a month and passed my Open Water Diver Certification and Advanced Open Water Diver, and never stopped diving from then. You’ve travelled to over 40 countries and dived in many of them, was it the diving that inspired the travel, or vice versa? Travelling already hooked me a long time ago. My initial idea when I passed my Open Water was “if there is any cool diving in the area I’m visiting, that could be useful!”. I was so wrong. As I quickly found out it was just impossible to see everything in a lifetime, I realised that scuba diving was the perfect way to see the world through a common theme. I don’t want to choose between travels and scuba diving; I want both. So for example, I really wanted to explore Argentina, which is not a scuba diving hotspot. It didn’t matter, I built my itinerary around the best scuba diving sites in Argentina, and it took me to some places I would have never found otherwise. During this trip, after diving in the Beagle Canal near Ushuaia, Tierra del Fuego, I fell in love with cold water diving, and I decided it was time to buy my very own drysuit. Less than a year after, I was moving to Scotland, so it wasn’t a bad idea at all! With a drysuit in my scuba diving bag, I could from then travel to any destination in the world no matter the temperature conditions. Now, my mission is to show people you don’t necessarily need to be rich to do the same! 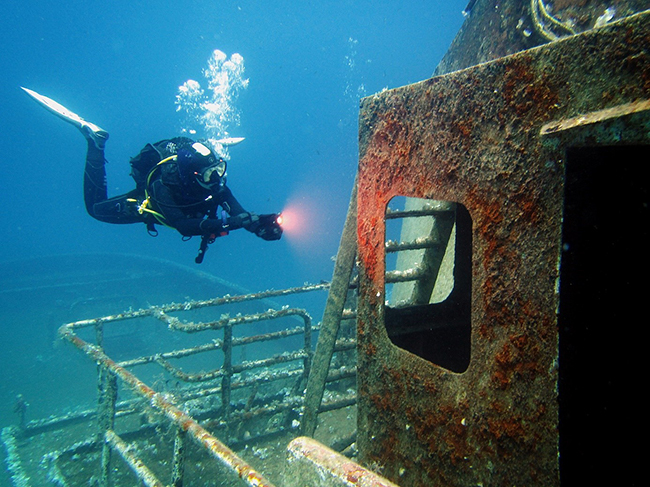 Do you have a favourite dive or dive memory? From the moment people learn I’m a dive travel blogger this is always the same question that pops up again and again. I feel quite embarrassed because it is so hard to say this place is the best. I don’t believe in ranking because scuba diving is a sport that is so vast in types and interests that the ranking is depending on who you’re talking to. However, I have a thing for Indonesia like many other scuba divers, but I’ve seen such a little part of it. So this is usually the answer I give to people, explaining Indonesia is such a large country with a vast array of scuba diving experiences from macro muck diving to encounters with the marine big 5. For the cold diving part, Silfra in Iceland will always remain in my top 3 because 100 m visibility means you are not swimming, but flying in water! You talk about conservation on your blog, what is it that’s inspired you to write so passionately about it? I trained as a renewable energy engineer, and I worked on solutions to fight climate change hoping to bring my contribution to “save the world”. If during the 10 years of my engineering career, I knew quite well the causes and impacts of global warming, being a scuba diver brought a totally new dimension to my understanding. The ocean absorbs 93% of the global warming, so it is the ecosystem which is taking the highest toll. Through my writing, my dearest hope is to show people that there isn’t a climate change problem and an ocean problem. Everything is linked. I also want to carry a positive and motivating message because it can sometimes feel overwhelming about what to do. You don’t need to be perfect; you just need to start. One thing at a time. 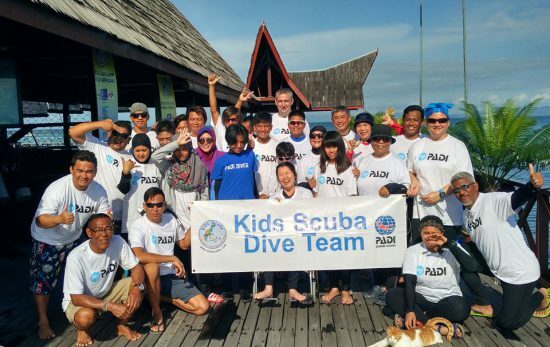 The aspect I appreciate the most about PADI is how inclusive it is. 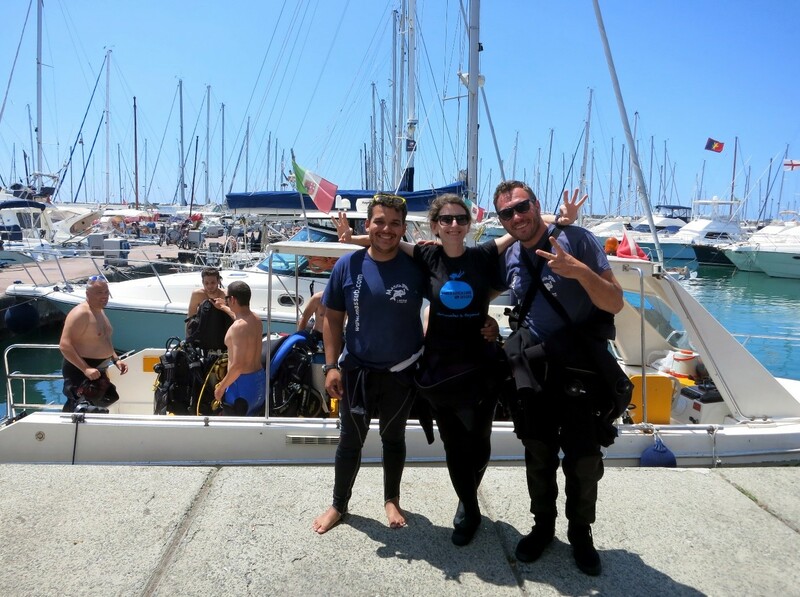 Wherever you live, no matter if you’re a girl or a boy, no matter your level of education, everyone can become a scuba diver if he or she is passionate about it. By spreading thorough standards of recreational diving safety and responsible diving all over the world, and making it affordable, we can open up the beauty of the ocean to potentially everyone. And as Cousteau said, “People protect what they love”. 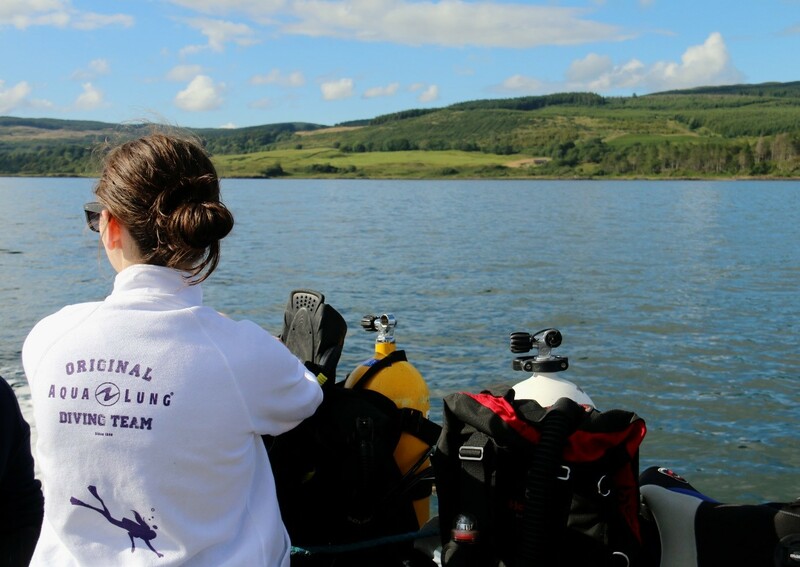 Read more about Florine’s adventures on her blog World Adventure Divers.